I recently discovered bricklink.com and I instantly spent more money than I was intending too (this site is addictive). But I also gained a bunch of minifigures I’ve wanted for a while (and realized how much money I had wasted on ebay, the price differences on both sites can be huge), as well as various parts. Yes, Brick Link is awesome for two reasons : cheaper minifigures than ebay and you can basically buy any Lego part you want. 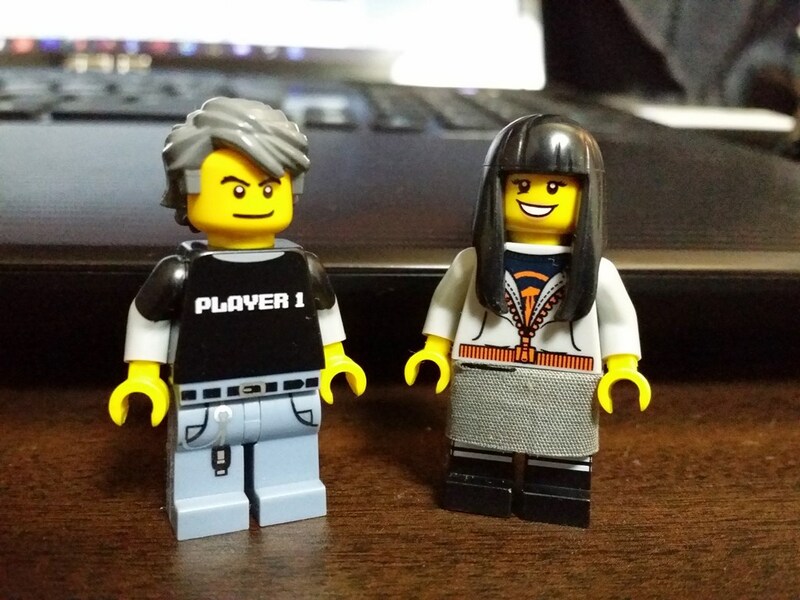 Thanks to that, I could buy different hair pieces and faces to help me in my quest to make Tsuki (my wife) and I as minifigures among other things. I’ve found a top that looks more like something she’d wear on a daily basis (told you, she’s not a goth). Now, I need to change the face (I’m not a huge fan of the big smile as the default face). I have some in the mail coming. 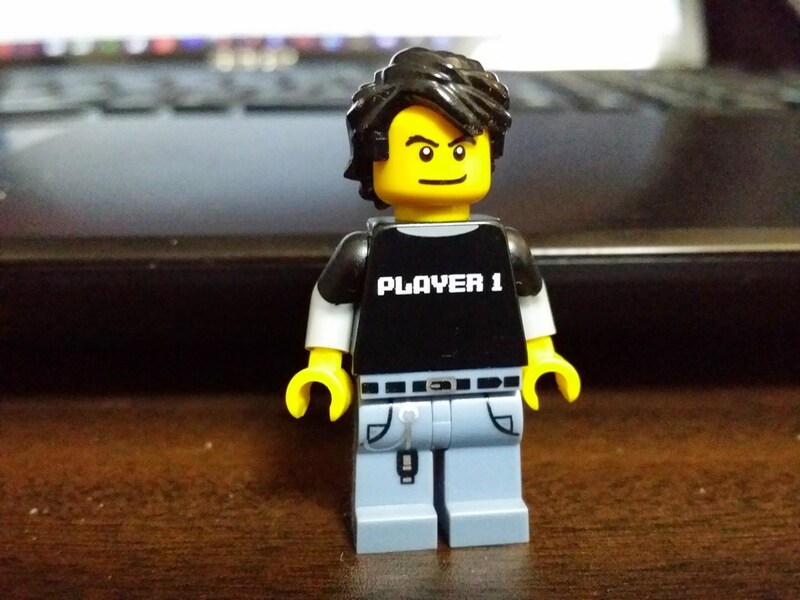 And if I start creating scenes with these minifigures, I need a wide range of facial expressions. Yes, you heard me, at first, I just thought about making minifigures of ourselves, but probably because I’m spending a lot of time thinking about them (i.e. 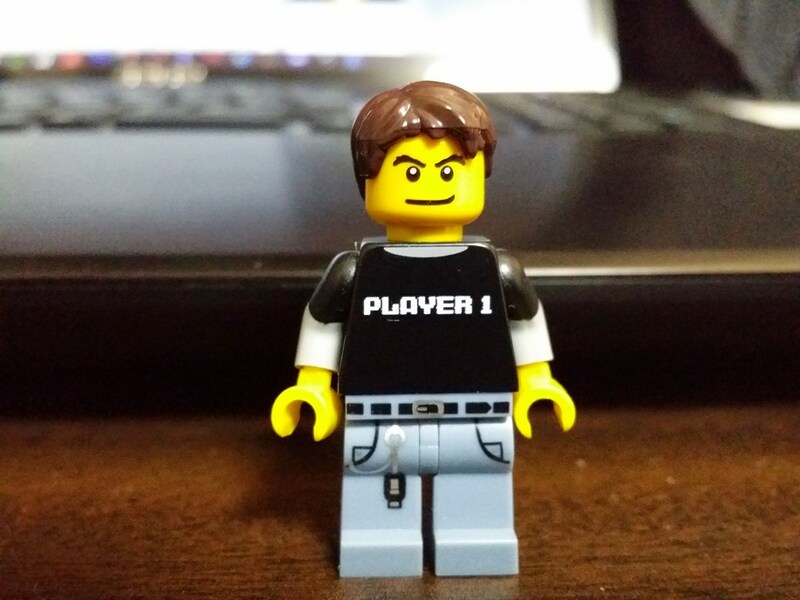 shopping for parts online), I’m getting quickly attached to them (after all, they’re us), and they may join my growing cast of minifigures I’ll use to shoot various scenes (you haven’t seen a lot yet, but there are quite a bunch to come). Now, I need to find alternate clothing, but it’s pretty difficult. 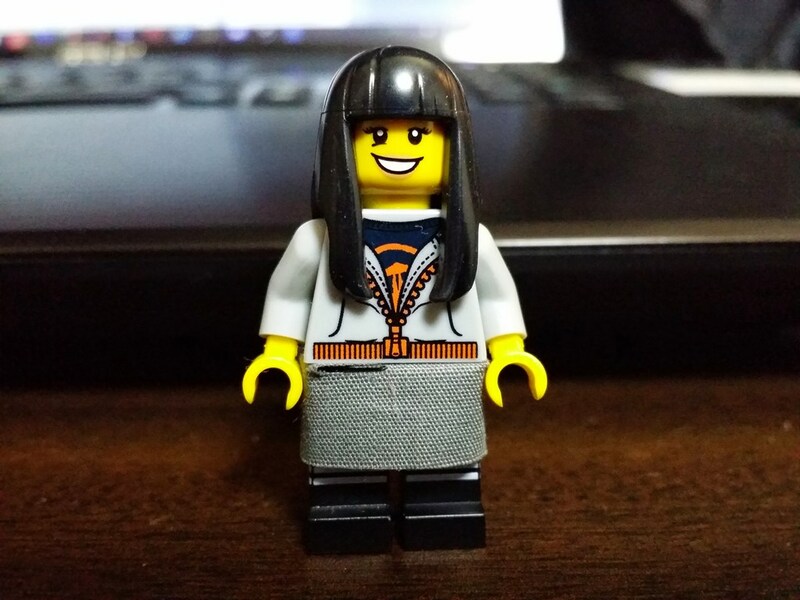 Wifey almost never pants for some reason, and let’s admit it, the range of available “normal” clothes for female minifigures is somewhat limited. There’s one tiny issue: the color. While I see myself as having dark brown hair, some people say it’s black. But, I don’t know, I could never think that my hair is black, even less so now that I live in Japan. My hair is definitely not the same tone as Japanese people (theirs is black no doubt). However, my wife tells me that I have to face the truth. My hair is neither brown nor black anymore, it is now dark gray! 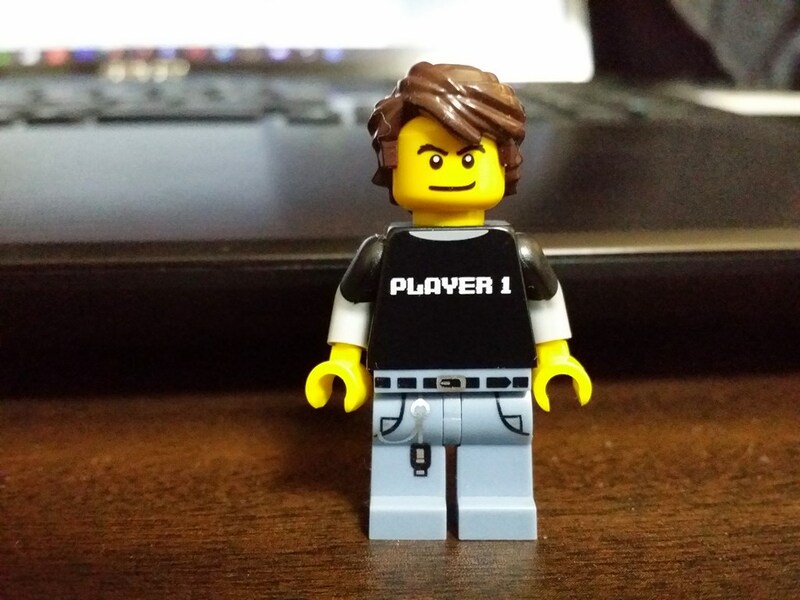 So, dark gray it is right (especially, because I think the minifigure kinda looks good like that)? Except that this hair piece doesn’t exist in dark gray, only light gray. So what should I do? Keep dark brown hair (and vary the length as it varies in real life) until a dark gray short hair piece gets made (or my hair becomes light gray, the light gray short hair piece exists)? 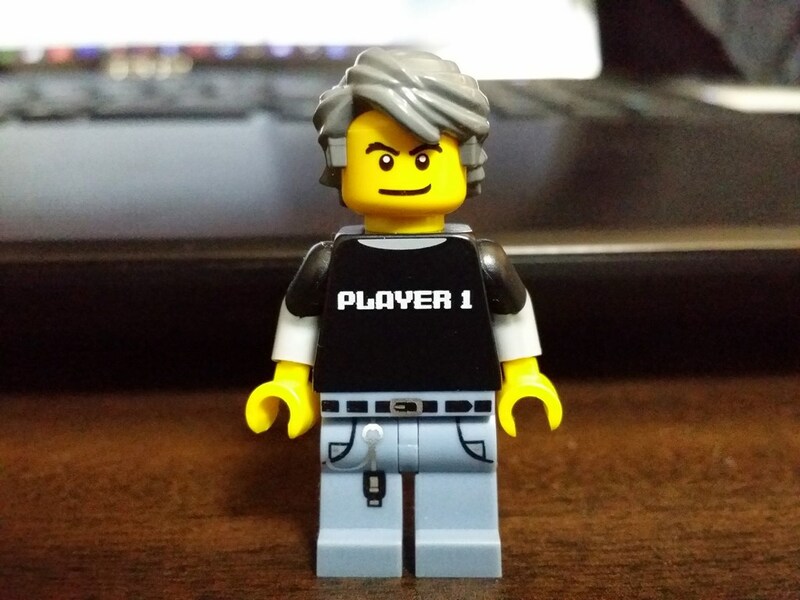 Or should my minifigure keep the messy dark gray hair, even when its human counterpart (i.e. myself) gets a haircut? What do you all think? Dark gray messy, or dark brown with changing haircuts? Next story What really happened to the Two Blue Wizards in Middle-Earth?